Whether you’re looking for some inspiration for a literary project, or you’re looking for an unusual bookish gift for a friend, we hope you’ll find it on these pages. 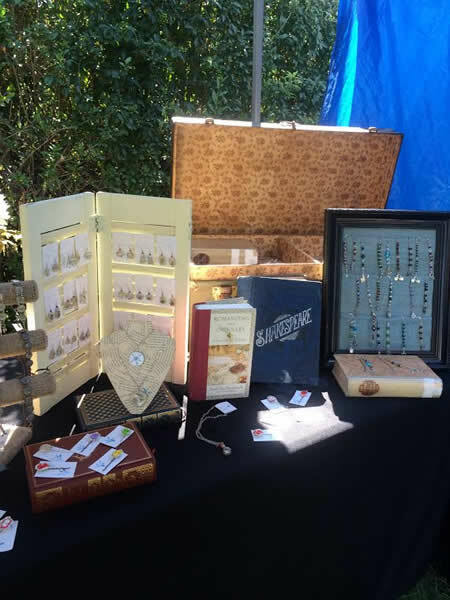 We have two sections, one for projects you can do at home, and one for small businesses that create literary inspired stuff that you can buy. 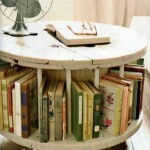 Whether it’s artwork or repurposed old books, we hope we can fill this section with it, and you can help too. If you run a Facebook page or website that sells literary inspired products then get in touch, or if you’ve created a literary project for your home and would like to share, then we’d love to hear from you too! 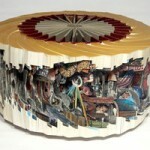 BRIAN DETTMER is a New York-based artist known for his detailed and innovative sculptures with books and other forms of antiquated media. 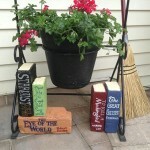 Cheryl Sorg is an artist inspired by a love of books and stories. 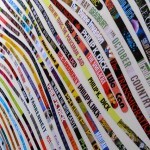 Not only are books her inspiration, but she uses entire books to complete her pieces. 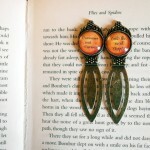 Epik Creations takes recycled books and turns them into real, wearable works of art. 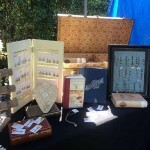 There’s a range of creations to choose from, and they take commissions too. Jilly Henderson is a Scottish artist who uses pencil, pen and ink and watercolour on hand stained paper. 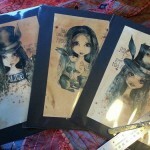 Her work is very quirky and she likes to study animals, fantasy landscapes and people, often with a literary theme. 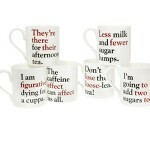 We’re official partners of The Literary Gift company, who stock all kinds of bookish gifts from literary maps to grammar grumble mugs. 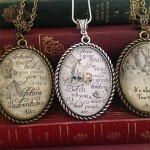 Poetic Pieces is run by Sammy who makes literary inspired jewellery and accessories including unique antique page fragments, and more! You can find her online, or at the market in Hay-on-Wye. 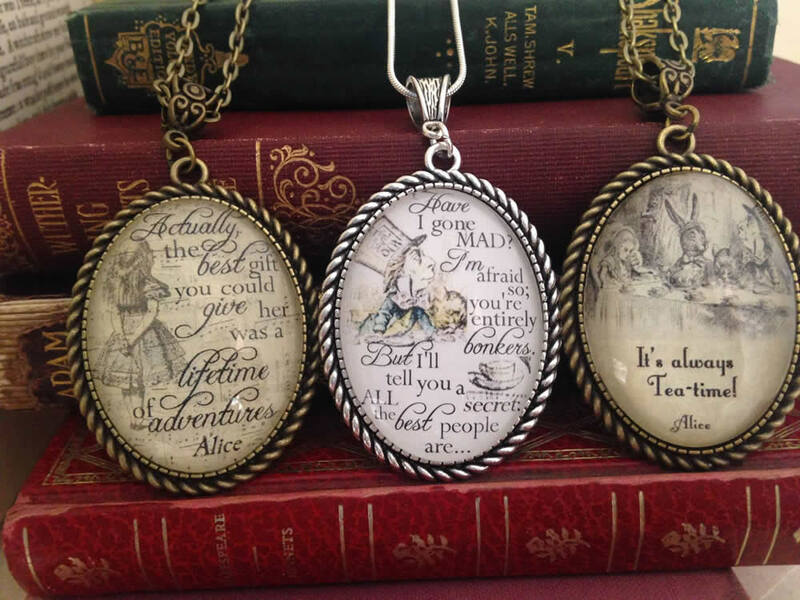 Scribbelicious is a literary inspired jewellery company based in North Wales creating beautiful hand made jewellery and gifts. They sell their products from a website, Facebook page and several stockists around the UK including the Royal Shakespeare Company. 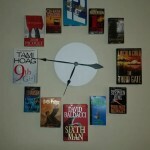 Republished with kind permission of the clock’s creator here are the instructions for making a book clock. 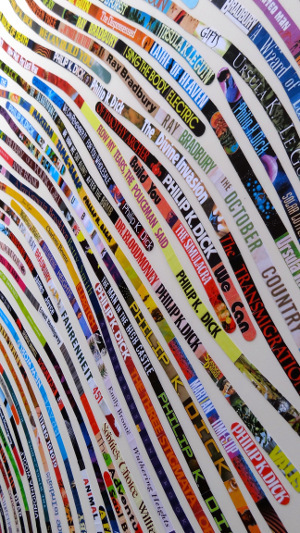 We love this literary project, here’s hoping you have a big wall to display it on. 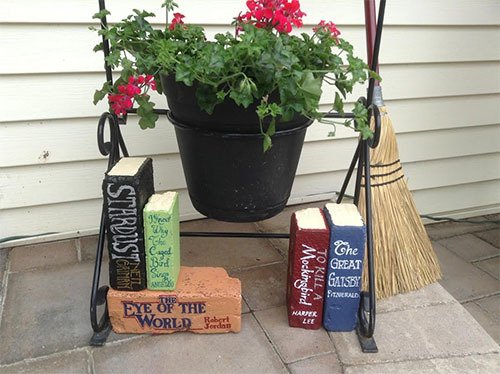 These book bricks are a fun and simple summer project to brighten up your garden and make you the envy of all your bibliophile friends. 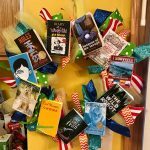 This book wreath is bright and colourful and doesn’t require the destruction of any books. Learn how to make your own here. 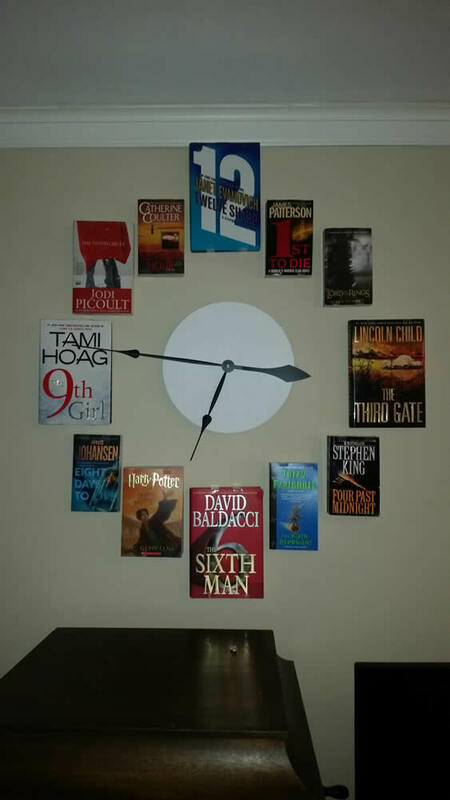 Book storage is always an issue for bibliophiles so here’s the editors picks of the best book storage ideas you can create yourself at home. 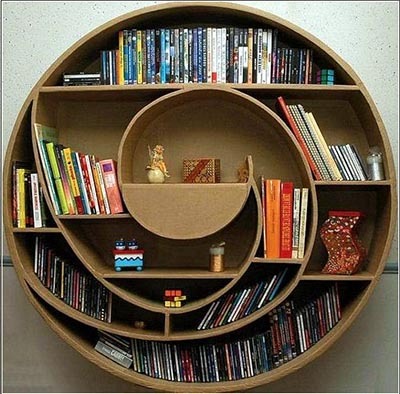 Everybody loved this bookshelf idea when we posted it on our Facebook page. Originally made by Handground of Imgur we have replicated his instructions. 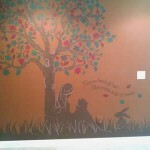 Lynn Lape has this reading tree mural in her home. Here she shows us step by step how it was created and where she got the inspiration for the whole piece. 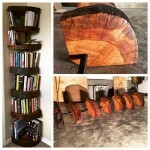 Who doesn’t need more free bookshelf space? 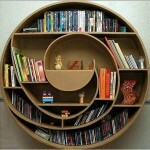 This selection of shelves and bookcases made of cardboard is fantastic!